UCLA’s first Chief Sustainability Officer, Nurit Katz is working to foster partnerships among academic, research, and operational departments to facilitate creating a world class living laboratory for sustainability at UCLA. As Executive Officer for UCLA Facilities Management, Nurit provides strategy support to make the university more operationally efficient and coordinates with Emergency Management on resilience planning. Facilities Management provides energy to the campus through a highly efficient cogeneration plant, as well as managing landscaping, renovations, operations, and maintenance. Nurit is also an Instructor for UCLA Extension’s Sustainability Certificate Program. Before starting in this position she founded the UCLA Sustainable Resource Center to provide resources for the community on sustainability. She then served as President of the Graduate Students Association and assisted Dr. Charles Corbett in developing a new interdisciplinary graduate certificate program – Leaders in Sustainability. After graduation she helped launch the UCLA Center for Corporate Environmental Performance. She has worked on a variety of sustainability projects including a project for the City of Los Angeles that focused on transit-oriented development along the Expo Light Rail Line. Her essay on the topic was published in the UCLA Anderson Forecast’s “Solutions for Our City”. 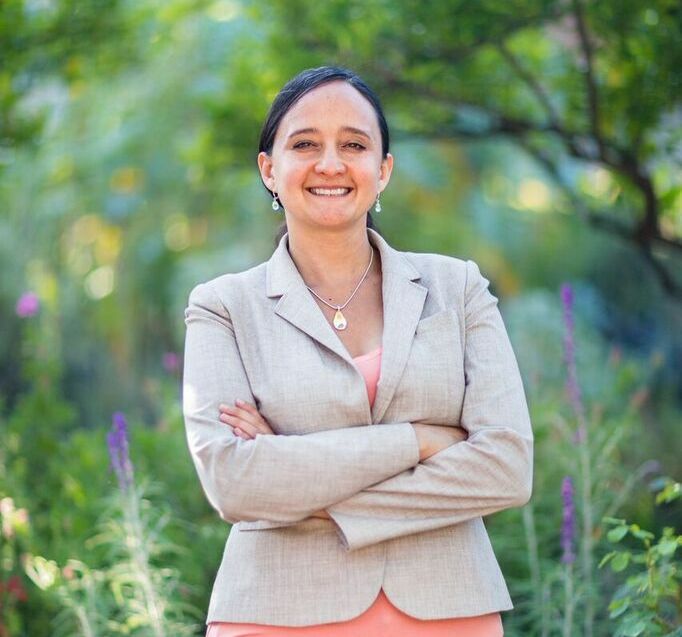 Nurit holds an MBA from the UCLA Anderson School of Management, a Masters in Public Policy from the UCLA Luskin School of Public Affairs, and a BA in Environmental Education from Humboldt State University. Nurit was honored as one of 100 Inspirational Alumni for the 75th Anniversary of UCLA Anderson. Her course Principles of Sustainability I was recently included in LA Weekly’s Best of LA 2012 as one of the 10 Best Classes in LA. In 2017 she received the Dean’s Award from UCLA Extension for outstanding instruction and contributions to the UCLA Extension community. Recently she was recognized as one of the top 100 business trailblazers in the Women Worth Watching 2015 issue of Profiles in Diversity Journal. She serves on the Executive Committee of the Luskin Center for Innovation and on the Advisory Boards of Sustainable Works and the Green Business Council of Southern California as well as the Steering Committee for the USGBC Resilience LA Initiative, the Built Environment Advisory Board for the LA Cleantech Incubator, and the leadership team for Path to Positive LA. Nurit is also working on building statewide collaboration and best practice sharing through the CA Higher Education Sustainability Conference Steering Committee. In 2010 Nurit completed a full Ironman distance triathlon with Team in Training in support of the Leukemia Lymphoma Society. Nurit is available to speak on behalf of UCLA at conferences and events. Click here for interviews and video examples.